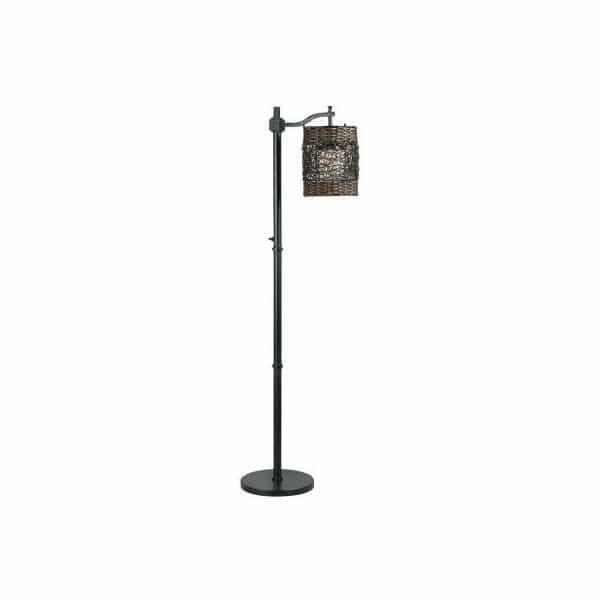 The Brent Outdoor Floor Lamp sits at 60’’ tall and features a lampshade that is 8’’ in diameter. One light illuminates the shade to serve as general lighting for entertaining or task lighting for things like preparing food or reading. Outdoor lighting is necessary for screened porches that are exposed to some moisture and winds, as well as any outdoor setting, even covered patios. Outdoor lighting solutions come equipped to handle outdoor elements, like wind and moisture. The Brent Floor Lamp features rustproof materials, watertight bulb shield and a heavy weighted base for stability in winds and other inclement weather. The UL safety organization has approved the Brent Outdoor Lamp for its placement in wet locations and waterproof on/off switch. Perhaps the intriguing layered shade catches your eye and matches the style of your wicker furniture or minimalist aesthetic. You’ll come to enjoy the trustworthy pricing and construction of Kenroy Home outdoor lighting fixtures.